Ladies, if you’re searching for a stunning palette of neutral eye shadows that will work for anyone and the perfect shade of blush to illuminate that pale winter face, then listen up because you need to hear what I have to say. I was sent the Manhattan 24/7 Eye Colour Palette and a Rockies Micronized Silky Blush from Vasanti Cosmetics and was practically blown away by how utterly perfect both of these products were. From the moment I shed their boxes and discovered those sleek silver compacts designed to hold those precious shades like a small treasure to the actual products themselves, I was spellbound. Let me start with the Manhattan 24/7 Eye Colour Palette that can go from day to night. This compact has five unbelievable shades that couldn’t be better coordinated when it comes to the ultimate neutral color scheme and are paraben-free! In addition, this compact even comes with its own two-sided brush. Think Champagne (bubbling with some pearly luster), Peach Gold Shimmer (rich and striking take on gold and peach), Pink Frost (a pearly metallic pink), Rich Brown (a medium warm brown with some luster) and Deep Brown Mahogany (elegant burgundy brown infused with shimmering copper). Every shade in this compact is one that you will actually use instead of like some that you only use one or two and leave the rest. Once applied, I was in awe of how beautifully the shades called attention to dark brown eyes in a natural way to light them up in my face. Furthermore, these eye shadows were silky powders that lasted throughout the day without creasing either. Honestly, if you are looking to buy one compact to go with everything for day to night, then this Manhattan 24/7 Eye Colour Palette is the one for you. Next, I tried the Rockies Micronized Silky Blush. This shade is a coral peach with some pink color that can brighten up any complexion without being harsh or fake looking with natural color that gleams with silver and gold. Think of the illuminating rays of the sun as they dance on your cheekbones is how I would describe the way the gold and silver highlights gleam against the skin. 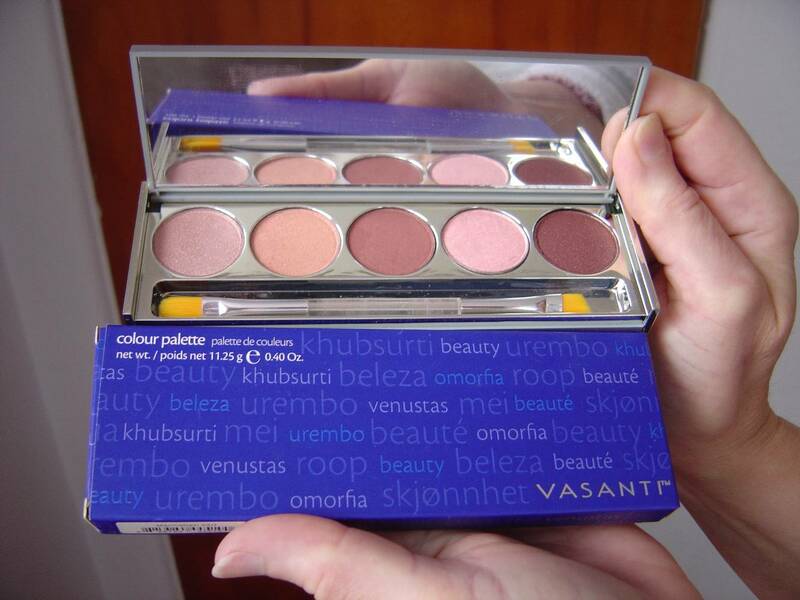 If you want to increase your “wow” factor and in keeping a natural, but polished look, then I highly suggest checking both of these Vasanti Cosmetics products out. Needless to say, I was greatly impressed and love them both tremendously! Next Post How to Unravel That Knot in Your Necklace With Ease!